Sell everywhere — set prices in any of the 248 supported currencies. Take advantage of the advanced price round-up methods and set your own rates. from Multi Currency Auto Switcher App? 248 currencies to choose from. 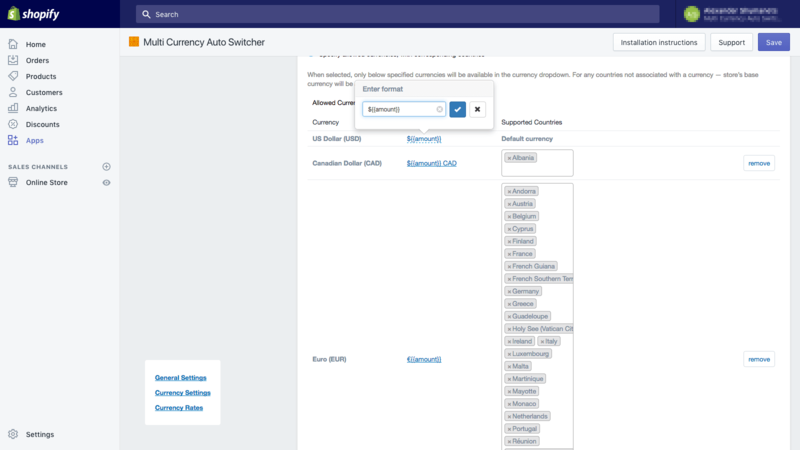 Automatic or manual currency switching that is shown in a drop-down menu — available for your choice. The ability to customize the existing rates — and set your own ones. 3 methods to round-up the converted prices (math, greater value, lower value). 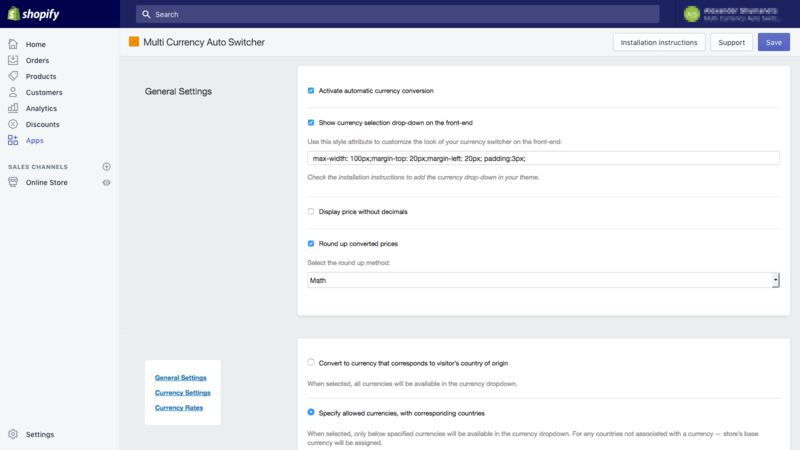 By tracking your customers’ IP addresses, the Shopify Multi Currency app automatically changes your store default currency into the one of their locale. The data on the rates are retrieved from Shopify and are updated on the hourly basis. With a drop-down, gently offer your foreign customers to select the preferred currency on their own. 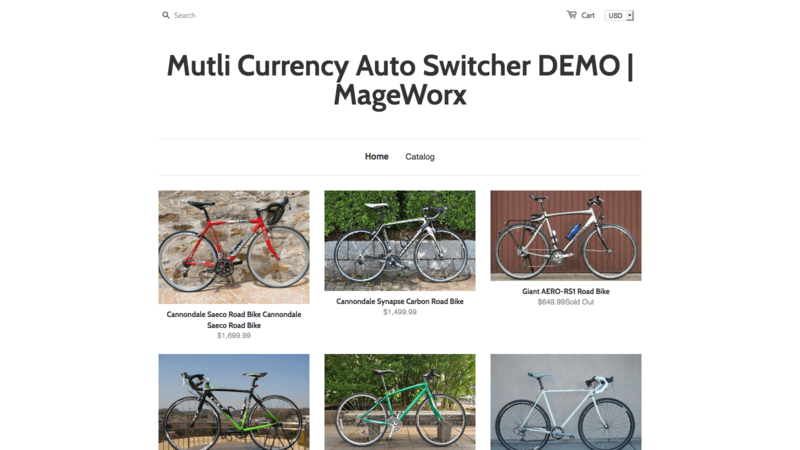 The switcher box can be placed practically anywhere on the page and adjusted to have your Shopify store look-and-feel. Besides choosing the format for displaying the currency, you can either show currency based on the customers’ IP addresses or manually specify the countries to which they will be displayed. A roundup helps you make the converted prices look nice and visually appealing. Math, greater or lower value – these are three methods to help you get there, and our app offers this functionality! Brilliant app, makes international selling more accessible and works perfectly. On top of this, the team is great, really, really helpful, responds quickly and goes above and beyond to help. Does exactly what it says and a punctual/helpful support team. 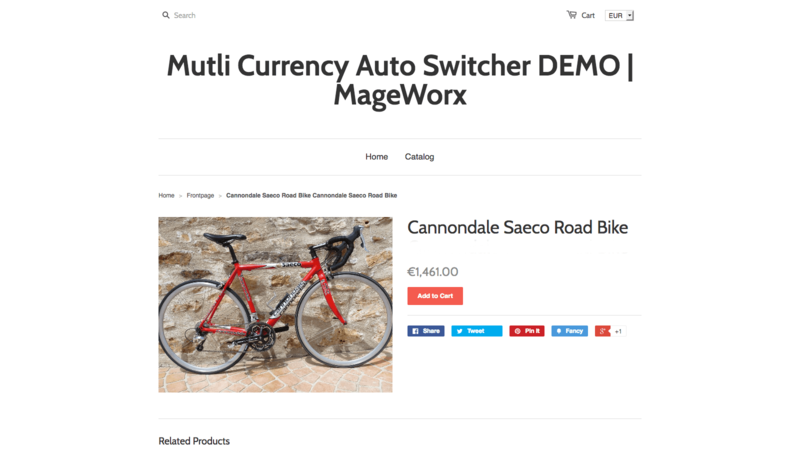 Multi Currency Auto Switcher is an excellent tool, easy to install and use. Besides, the support team is excellent. Highly recommend this app. Fantastic app - was previously having issues with Shopify only allowing one currency (Canadian) and my US customers not knowing the price. This solved it for me and improved sales. They installed it for me, and provide amazing follow up support too! 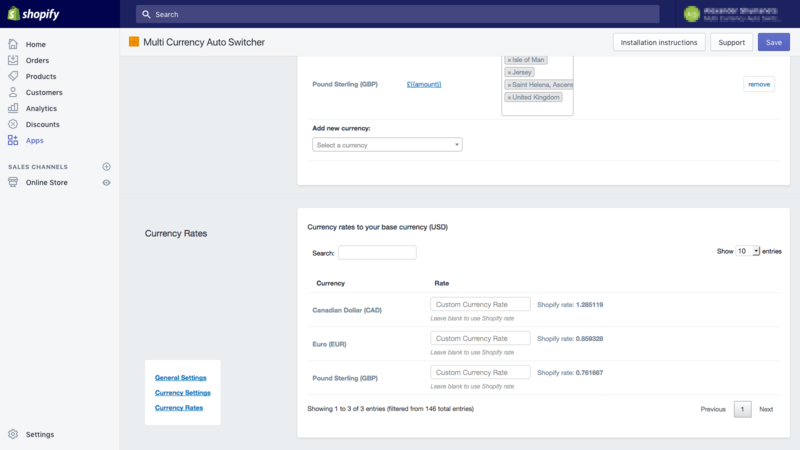 Currency Auto Switcher App Now!